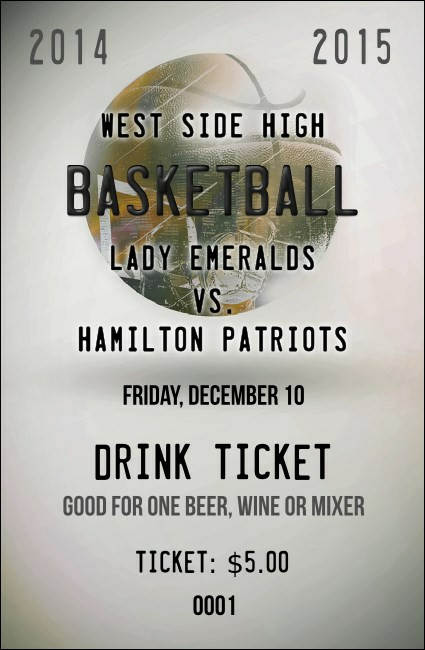 Spectators will appreciate the contemporary look of the Basketball Schedule Drink Ticket! Tones of silver and black adorn this template over an image of a weathered ball to keep a dozen lines of details sleekly stylish and simple to read. Security numbering is included. The right drink ticket can be yours when you shop TicketRiver.com.au!